Few places on earth can boast such a wide variety of beautiful landscapes and dramatic scenery changes as the American Southwest. For more than five generations, my family has lived in New Mexico, also known by it's nickname, "The Land of Enchantment". 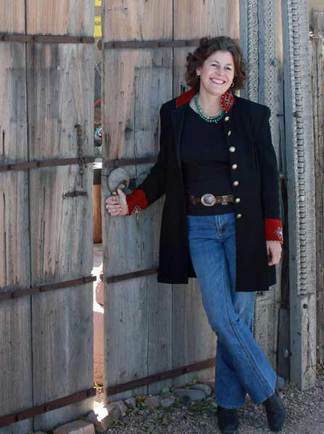 From the unique adobe homes and 22 distinct Indian tribes to the amazing sunsets, desert plants, & scrumptious foods, the "Land of Enchantment" is an amazing place to call home. It is a true pleasure for me and my family to bring the beauty of our home to you. All of our special & unique blends have been thoroughly tested, and I promise you will love them as much we do. The Ocotillo is known by several different names: Jacob's Staff, Coachwhip, vine cactus, Candlewood, Flaming Sword, candle bush, and my personal favorite, Desert Coral With all of the references to candles, it was a perfect fit for our candles! The Ocotillo, pronounced "oh-co-Tee-oh", is a very unusual desert plant which grows in the Sonoran and Chihuahuan deserts. Although it looks like a cactus, it is not. 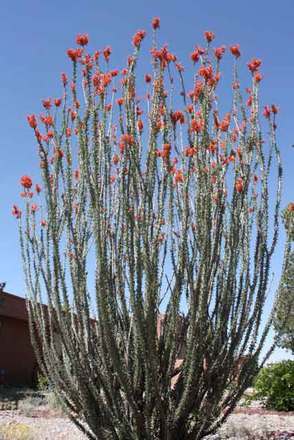 Ocotillo is generally a leafless plant and looks almost dead until it rains! Then, the plant grows leaves and amazing red flower blossoms at the very top of its long, spiny branches, which can grow as high as 20 feet. The flowers bloom for almost 4 weeks. Hummingbirds absolutely love them! Even things that look colorless and dead can hold some of the most beautiful life inside, and we want to show you the beauty the Southwest holds.